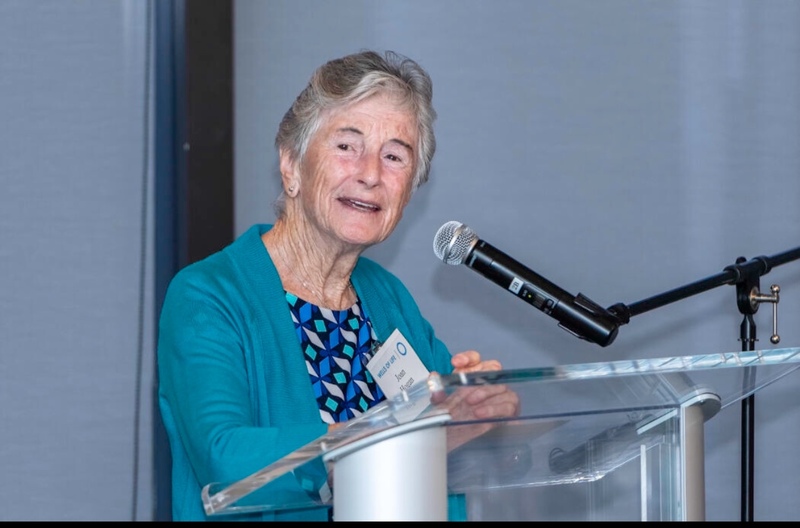 On Monday, 23 July 2018, Wells Of Life, a nonprofit organisation that raises money to drill water wells in Uganda honored the contributions and life of Sr Joan Hogan of the Holy Faith Sisters. 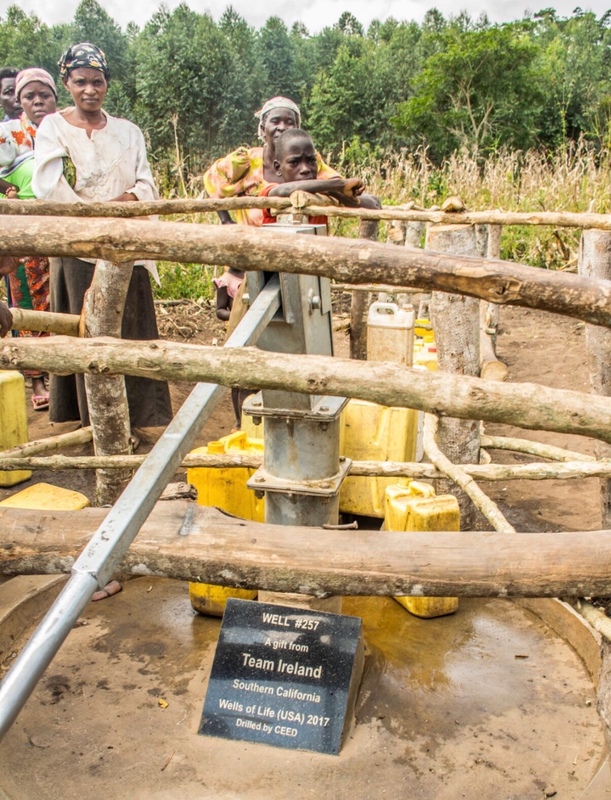 Dedicating Well #373 in Kyedikyo village, Wells Of Life founder Nick Jordan said Sr Joan is “an unsung hero who approaches everyone with compassion and a twinkle in her eye.” She has given many presentations on behalf of Wells Of Life despite her already crowded schedule. Sr Joan is a native of Kilkenny, Ireland. She became a Sister in 1952, one of four girls in her family to enter religious life. Sister has served in many roles: teacher, principal, Area Consultant for the Office Of Religious Education, RCIA Director and parish pastoral associate. Now that she is retired, Sister volunteers at St Mary’s Hospital and teaches in the TAP program for the Archdiocese Of Los Angeles. 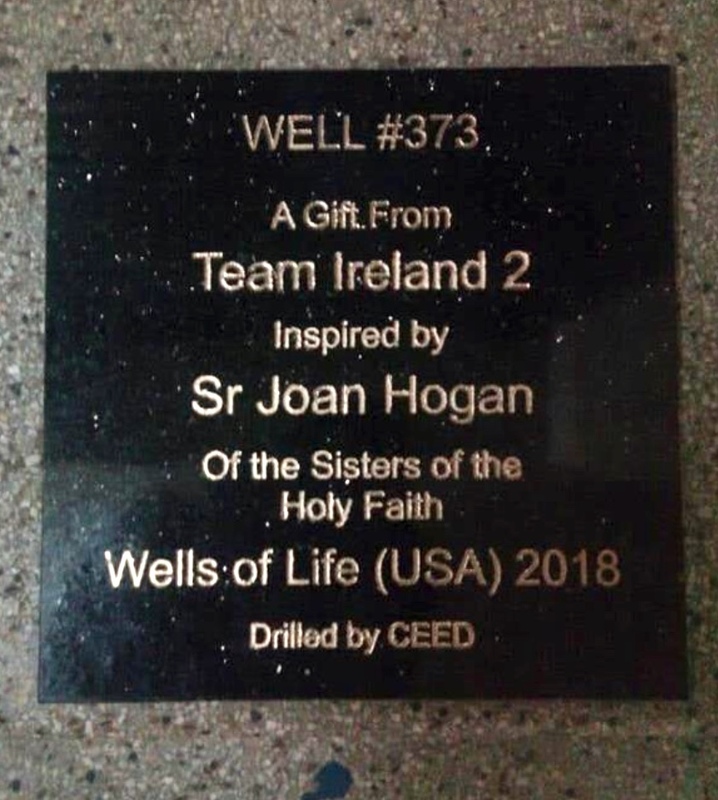 Sr Joan first heard of Wells Of Life in late 2015. Since then, she has co-led Team Ireland twice, raising enough money to drill two wells in Uganda. Wells of Life was founded in 2008 by Nick Jordan, a native of Wexford, Ireland. 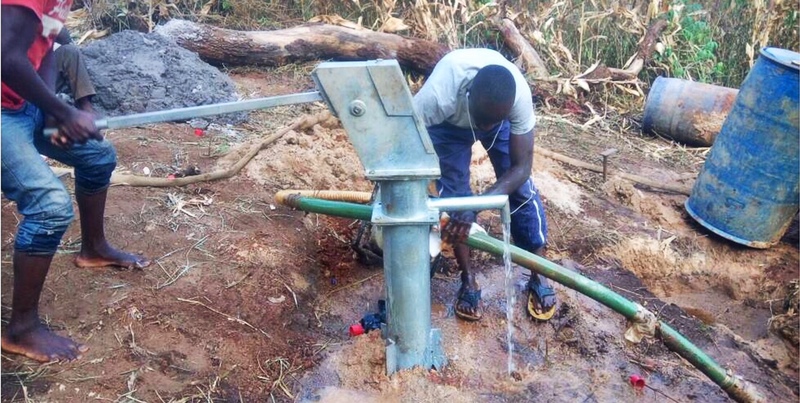 Nick set himself the ambitious task of raising enough money to drill 1000 wells for the least water-secure region of Uganda, the Mubende District. Only 33% of people there have clean drinking water. The rest get all their water from contaminated and disease-ridden surface ponds shared by animals. Child mortality is so high that many parents do not name their baby until it is two years old. 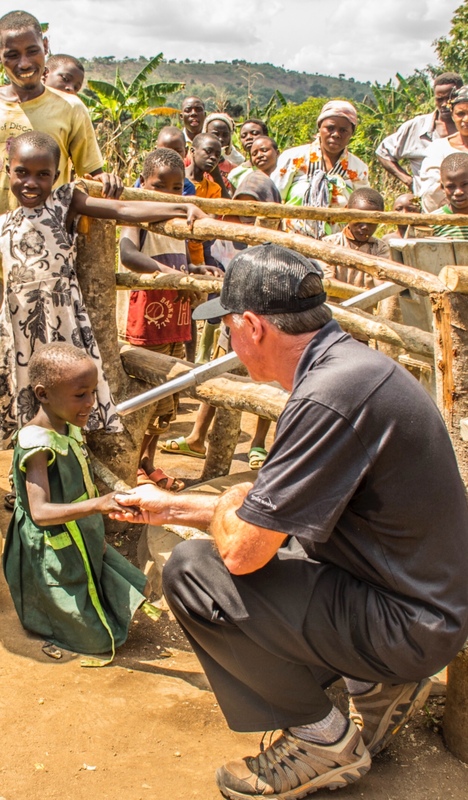 To date, Nick’s unflagging efforts have funded 374 wells, saving countless lives, and built four schools. To drill a well costs $6000, and each one serves approximately 1000 people. In the following year, infant mortality typically drops by 50%. Nick was inspired to do this work from memories of his childhood. 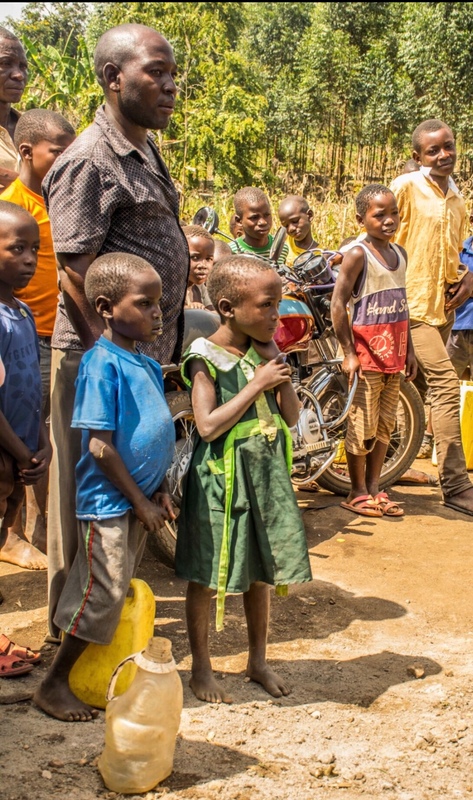 He recalls seeing his mother carry buckets of water several times daily from their farm well. Water is heavy, and exhausting to carry. The burden of carrying it falls all too often to women and girls in Uganda, who lose out on their education. This work resonates with Sr Joan too, as her youngest sister is a Holy Cross Sister in South Africa whose entire daily water supply is a bucket-full. Think about that! How many of us could get all our washing, cooking and drinking water from one bucket per day? Well #373, donated by Team Ireland 2, will sustain human life for many years to come, and enable many babies to thrive! Praise God for you Sr.Joan!